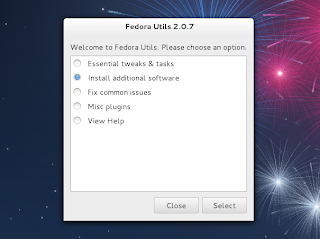 Fedora Utils is a tool to tweak Fedora and easily install packages which are not available in the main Fedora repositories. Since our last Fedora Utils post, there have been quite a few changes, including support for the latest Fedora 17 and many bug fixes. Also, Fedora Utils now supports plugins so everyone can write one. 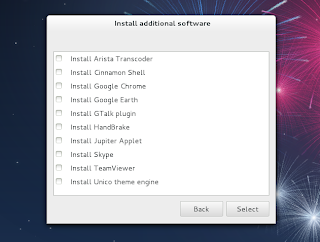 Other new features include options to install TeamViewer, Arista Transcoder or Cinnamon, support for Fedora remixes and more. If you'd like to contribute, you can find Fedora Utils @ GitHub.